Want to sell a good steak? Sell the sizzle! New companies form everyday with business models based on the idea that they can sell the same product the guy next door is selling, but better. 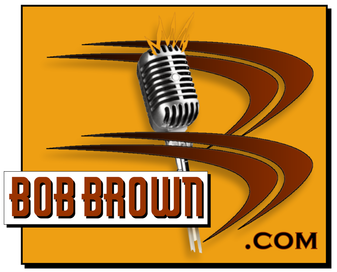 That's Bob Brown's business model and why he has been in business voicing and producing radio and TV audio for over 35 years. Because he does it better than the other guys. BobBrown.com can help you sell the sizzle. Advertising is good for your business. The RIGHT advertising can make a world of difference in your bottom line. Your job is to get the most bang for your buck. The most bang for your buck on radio comes when your ad stands out from the other ads, all of which are being played back to back, cluttered up in between the radio station programming. Radio stations offer free spot production to their clients as an incentive to advertise on their station... as long as you don't mind that your expensive airtime is being represented by a voice that is probably representing several other companies in the same commercial set, or the same hour, or even for the same type of company that yours is. We've been in business over 30 years. We've been in business by selling a product that others give away for free. If you are happy with the way your commercials sound on air, and the results your ad dollars are getting you, then you don't need us. If you'd like to take your advertising to the next level, for very little cost to your ad budget, and see what the right kind of sizzle can do for your bottom line, give us a try. To hear the sizzle that can put more bang in you buck, click our AUDIO DEMOS.